Stunning donation to the support group! 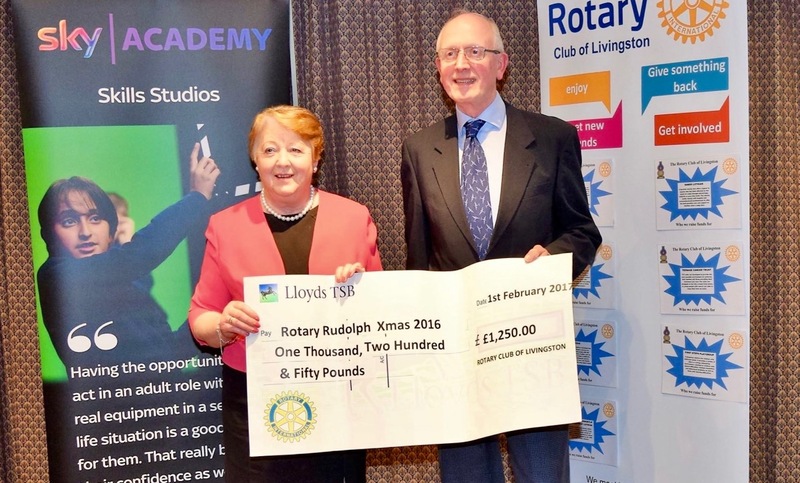 Livingston Rotary nominated the Edinburgh and Lothian Prostate Cancer Support Group as one of their top six charities for the year 2016. The sum raised was £1250 and as the Rotary is closely connected to the Sky TV HQ in Livingston, they joined the Rotary in their Christmas Reindeer fund raising events over Christmas. They then decided to match the Rotary Donations and gave each charity a further £1250.00! This total donation of £2500.00 was quite stunning. Pictured is West Lothian committee member Charlie Hogg receiving a cheque from Mrs Isobel Brydie MBE, CVO, The Lord-Lieutenant for West Lothian.